An old friend is returning to Rochester, Minn., site of the Mayo Clinic Center for Individualized Medicine’s fourth annual conference on genomic medicine. Gianrico Farrugia, M.D., the former director of the center, and now vice president of Mayo Clinic and CEO of Mayo Clinic in Florida, will return to his roots in southeast Minnesota to deliver the opening keynote address for the Individualizing Medicine Conference 2015: From Promise to Practice. Both a visionary for believing in precision medicine long before it became in vogue and a pragmatist for understanding that we must get the discoveries and treatments of it to the bedside of the patient, Dr. Farrugia will talk about "Integrating Precise, Personal and Individualized Medicine into Routine Clinical Practice." Director of the Center for Individualized Medicine, or CIM as we commonly refer to it, from its inception in 2012 until the spring of this year, Dr. Farrugia was tasked with developing both personalized medicine research and its translation related to the microbiome, biomarker discovery, epigenomics, pharmacogenomics, and clinical application of "omics" technology. 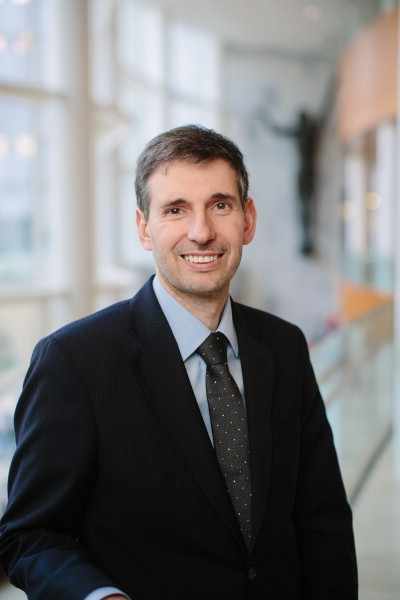 Still, a doctor at heart, he always remembered that the ultimate goal was to connect everything we were doing in individualized medicine with improving patient care. With a perspective both broad and deep of individualized medicine, Dr. Farrugia ranks among the foremost authorities in genomic medicine and its direct application to the practice of improving patient care. He envisions the day when patients arrives at their doctor’s appointment with the usual stuff: insurance card, copay and their complete genome mapped out on their iPads. Individualized medicine is here. Today. Now. It’s part of the practice and its influence in health care will only continue to grow. We need to develop opportunities and plans to continue to integrate them into practice, research or industry, but genomic sequencing and all its offshoot “omics” of medicine are here to stay. They are invaluable not just for the patient, but for their families, as well. How can a clinician or an institution realize the benefits of individualized medicine in today’s practice? Not tomorrow? Not sometime in the future? But today? How does the physician in Seattle or the family doctor in Bakersfield, Calif., apply precision medicine to his or her practice today? Dr. Farrugia will outline five realistic, affordable steps that all clinicians can use right now to bring precision medicine to the bedside of every patient today. “We’ve turned the corner,” Dr. Farrugia says. “At the moment, the question is no longer - should we be doing this? It’s ‘Why aren’t we doing this more often and cheaper and offering it to everyone?’"
It’s worked here at Mayo Clinic, Dr. Farrugia believes, because we’ve used a team-based approach, with the patient at the center, and we’ve committed the resources to make it work. There was a willingness to take control of the pipeline from discovery to clinical despite the hugeness of the task and artificial timelines. And of course, he acknowledges, because of stubbornness. We didn’t believe in the words “we can’t” or “no.” Led by a visionary like Dr. Farrugia, we believed we could bring individualized medicine to the bedside. At the Individualizing medicine conference, he will outline how we did it, where we are today, and where all of us can be in coming years. It’s a talk about the state of genomic medicine you won’t want to miss. Dr. Farrugia opens the morning session on Monday, September 21. Located in Rochester, Minn., the Individualizing Medicine Conference 2015: From Promise to Practice. runs through Wednesday, September 23. For a complete schedule, visit the conference website. For a complete list of speakers, visit the conference speakers. 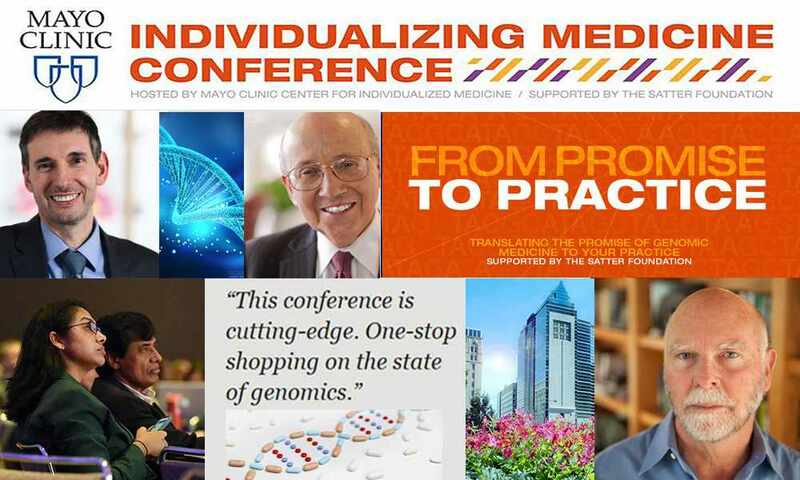 Read more about the Individualizing Medicine Conference 2015 on the CIM blog, follow us on Facebook, and join the conversation on Twitter at @MayoClinicCIM or #CIMCon15.